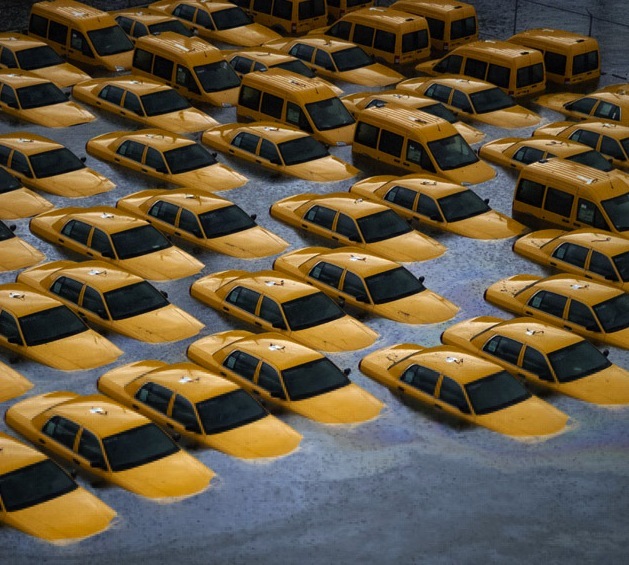 Taxis in a flooded lot in Hoboken, New Jersey. 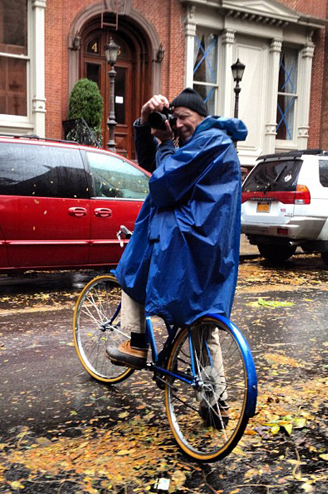 Bill Cunningham capturing New York City shots post-Sandy. 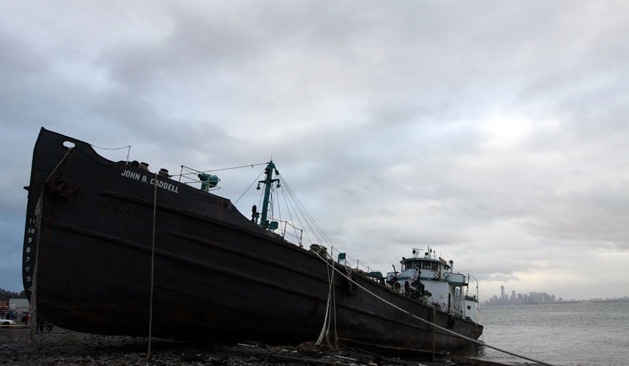 The John B. Caddell tanker washed ashore in Staten Island. 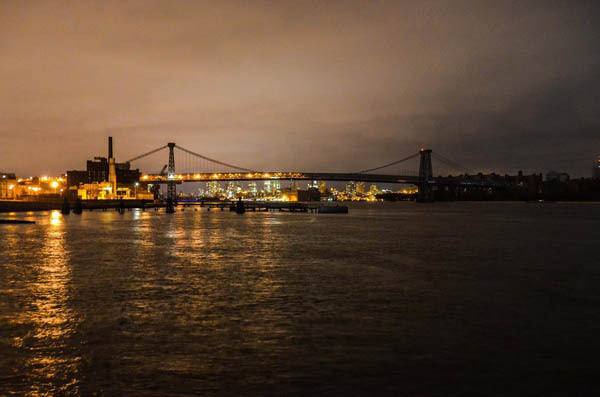 Blackout in Manhattan as seen from Brooklyn and the Williamsburg Bridge. I can't seem to the get these images, devastating yet somehow beautiful, out of my head. P.S. On a lighter note, I'm guest posting over of La vie ... J'aime today, sharing what I'd pack for a trip to Barcelone. All the footage was so devastating, wasn't it? I love how everyone is ralling together, though. These photos are so moving. 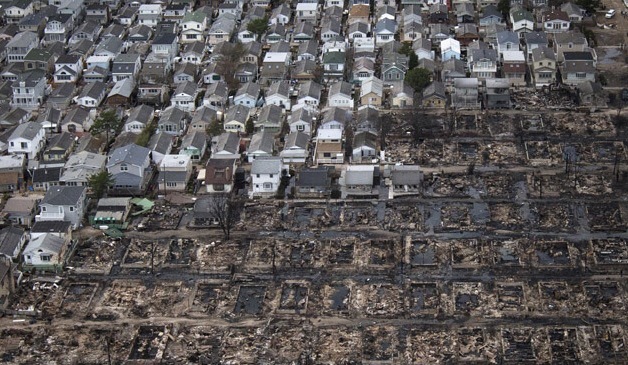 I'm glad people in the NE are seemingly getting back on their feet - all of the damage has been so devastating! 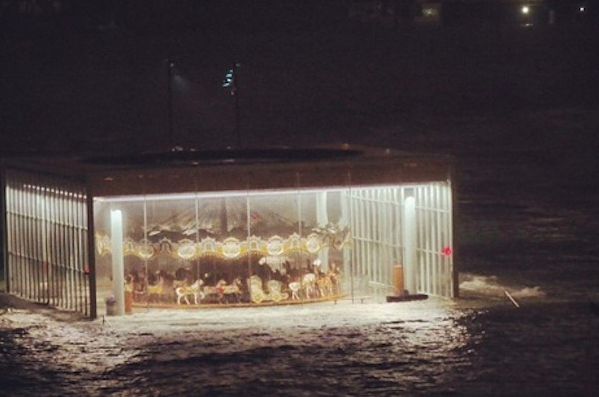 The images are totally surreal and horrifying. I can't imagine being in the middle of it. Wow, I had not seen these images before and they have shaken me. Because so many people have survived and are fine, it's easy to forget what devastation is still in the lives of others. Thank you for sharing! We were supposed to get quite a bit of Sandy in CT, as predicted- but we didn't. And to be honest, I was quite disappointed. But after seeing pictures, stories & news articles- I realized how ridiculously lucky we had been.